Clemson has a plethora of restaurants for college kids, but how about actual kids? 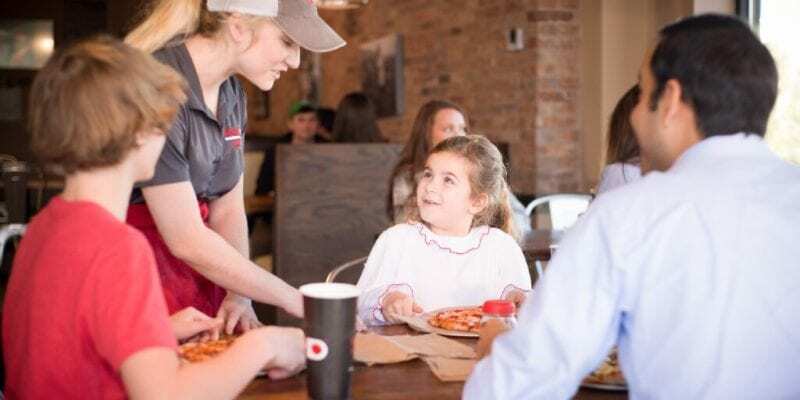 One of the most child-friendly places in Clemson is a hip little place on Earle Street called Your Pie, according to Upstate Parent, a family focused online publication. Owners Doug and Denise Zirbel said they work hard to make every visit to Your Pie an experience. And Denise said that as a mom, she understands the need to keep all members of the family happy. “Having four kids of our own, we understand that when the kids are happy then it makes for a much more enjoyable experience for mom and dad,” she said. Kids of all ages love watching the pizza masters put their pies together. A kids’ meal at Your Pie will run you $5.49 and your child will get a child-sized pizza or half a panini, drink and gelato. And the best part — they cut the dough to make it child-sized and they will give kids the gooey scraps to play with. While there are several places in Clemson to choose from, Your Pie takes the cake, er, pie! Read the full article here.